This is going to be the last post to this blog. I feel like the journey that I began with it is complete. I'm not stopping game design, but I will spend less time on it than before and want to write about diverse topics (including still some game design). I also feel like it's time to retire the "Wannabe" identity. You can find all my future stuff, including anything on game design, at http://www.keller.nyc , including my schedule for this week's DexCon. There has been quite a bit of sturm und drang in the video game world over Metacritic and the role it plays in the industry. For those unfamiliar, Metacritic is a site that aggregates the review scores of many different review sites and aggregates them into a "metascore" (through some non-public method of weighting) that is meant to represent a consensus opinion on each game. In theory, it is using a wisdom-of-the-crowd method to determine how "good" a game is in a way that eliminates the biases and quirks on individual reviewers. One of the criticisms Metacritic gets caught up in is the value of review scores themselves. How can you possibly represent the value of a videogame in a single number, given all of the things which affect that number? I won't be addressing that here, as it applies far more to individual review sites' decisions to use scores in the first place and philosophical questions about how to judge art. Also, people are free to ignore those numbers if they feel that such scores are useless. I'm far more interested in Metacritic's place in the business side of the videogame industry. The videogame industry shares many structural similarities to the tabletop game industry. 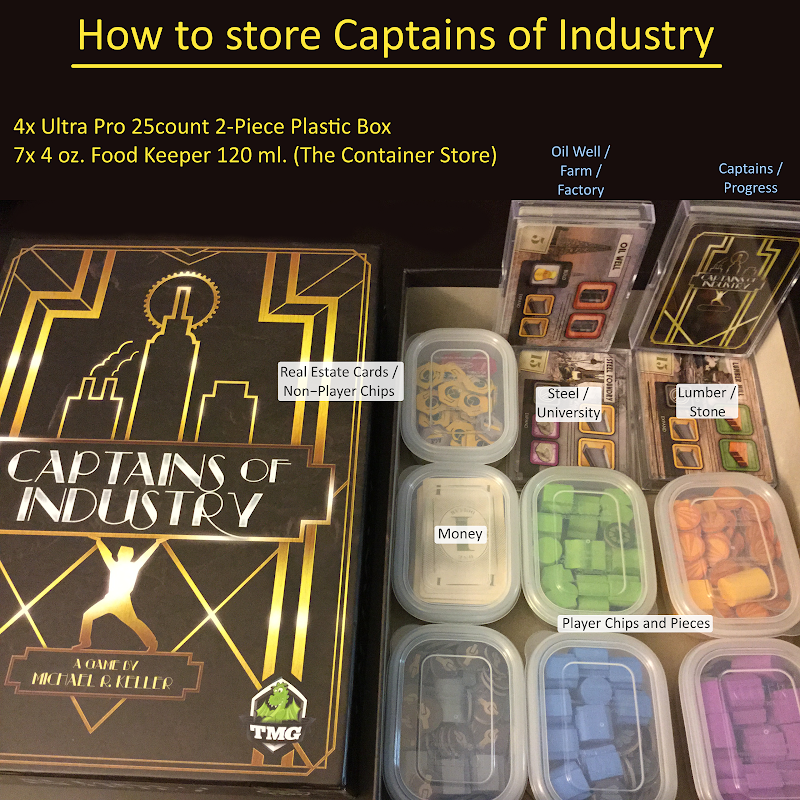 There are developers (the equivalent of tabletop designers) and publishers. Developers create the game and publishers pay the bills (though the timing of payments differs between the two industries). Publishers pay developers some combination of fixed amounts for meeting design milestones (in tabletop this would be getting the game contract-ready) plus royalties based on sales. This is important because these developer-publisher contracts have more and more frequently been using a game's Metacritic score as a basis for determining some amount of the developer's final payments. Specifically, some bonus payments will be withheld unless the game achieves a specified minimum metascore. 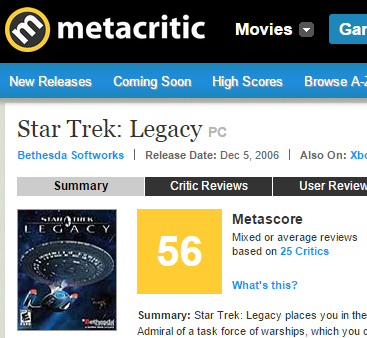 This has caused a subset of the community to be angry at Metacritic. They feel that it unfair for developer's livelihood to be controlled by something so opaque and arbitrary. They point out that review sites don't all use a 0-100 system and that Metacritic's conversion of, say, 3/5 stars to a score of 60% doesn't represent the true opinion of the reviewer. The inability to know which reviewer's scores will be weighted how is attacked as making it impossible for a developer to ensure that their hard work will be rewarded. The fact that a single reviewer's giving a game a low score for what Metacritic-critics call incorrect criteria (such as messages conveyed by the game's story or art) can push a game's metascore below the contractual threshold is a common nightmare scenario raised. I've simplified this a lot. If you want a fuller example of the criticisms of Metacritic, I would point you to the below video by Totalbiscuit (one of the most popular YouTube videogame reviewers), or to this post of his. In the next post, I will share my thoughts on the subject, leveraging my zero years of experience as a video game developer coupled with my zero years of video game reviewing. This is massively off-topic, so if you're looking for game design content, ctrl-w now. Tonight I watched my best friend get married. I've been to four weddings now, and I have had the same experience at each. Surrounded by a slew of people I don't know, I find a nice corner to hide away. If I manage to spot one or two people I do know, I try to spend time with them without being clingy. At some point in the night, I congratulate the couple in the middle of a couple hundred other people doing so. Being physically awkward, I watch people dance with disinterest. Despite being happy on an intellectual level for my friend(s)/family on their day, I always feel emotionally detached from the proceedings. Weddings just aren't a thing that excites me, despite genuinely wishing the participants well. Tonight was different. I got caught up in the emotion of it all. I cried a little, probably damaging my circuits in the process. On the long drive back to my hotel (christ almighty Texas likes to put everything far away from everything else), I thought about why this time was different. I met my friend when we both started at Citigroup in August of 2007. That was a tough couple of years. Fresh out of college, we landed in the maelstrom of financial crisis. We had to say goodbye to another colleague or two every month as the latest round of layoffs came down the pike. We were aware that any one of us could be the next to go. We had a program director who was actively sabotaging us for political purposes. It was a struggle to get our careers back on track. How can you advance when downsizing is the order of the day? How can you make a lateral shift to a less dysfunctional organization when no one is hiring? I was proud of being able to escape finance on my own terms. I was proud of having built a life for myself since then. And I was proud of having some goals to shoot for. The thing is, my friend has faced all of these same things and more. Being an immigrant, my friend has always had the threat of being deported hanging over her head. The layoff fairy decides to visit your department? Goodbye, America. Lawyers screw up your extension paperwork? Goodbye, America. Manager doesn't feel like pending the budget to file for your permanent residency? Goodbye, America, and the life you've built over almost a decade. I can't imagine how I would have dealt with that complicating factor on top of all the other stress we've been through over the years. I like to think of myself as someone who can roll with the punches and deal with setbacks in a calm, logical fashion. But my friend has both overcome more and then accomplished more. And she's never done. She is always driven to achieve more and do good for others. It's a humbling feeling to realize that your best friend is better than you could ever hope to be. But it's a wonderful feeling to be able to cheer her on and be there when she needs support. And it's an exciting feeling to be inspired by her to always keep moving forward to the next goal. So that brings me to now. My current goals have all ended in one way or another. In the win column, I have a secure job and have advanced in the past few years. I have had my first and second game published. In the loss column, I was rejected from business school. A new project is stalled. I'm 33 years old. Yuck. I'm treading water. I need a new goal. Maybe it's time to jump back in the job market after 5 years? Maybe I should start dating with an eye towards starting a family? Maybe I should pack it all up and move to another country to start fresh? It's late. I'm tired. I don't know what my new goal is going to be. But I've got a long plane ride tomorrow. And if that's not enough, I know who I can talk to for advice.